This One BIG Thing Standing In A Way Why Prince Harry Hasn’t Proposed ‘Suits’ Megan Markle Yet? Prince Harry and ‘Suits’ actress Megan Markle are going strong and fond of each other. 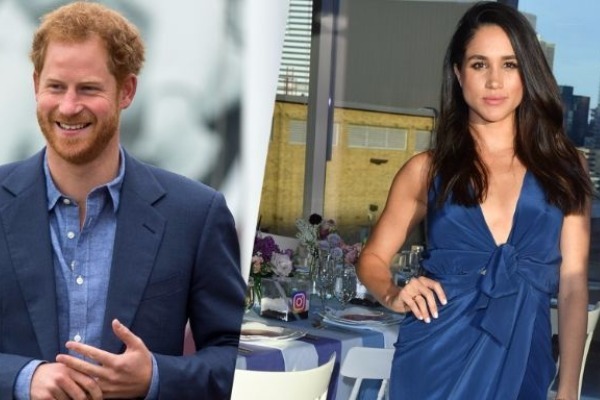 Prince Harry belongs to a Royal family background of England and Megan Markle from a Hollywood. Megan is already a part of Harry’s royal family functions and events. Pippa Middleton’s wedding was the latest event Megan had attended. Prince Harry drove all the way 100 miles just to pick his girlfriend Megan Markle for the royal reception of Pippa Middleton. Isn’t that sweet!? Though Prince Harry is head over heels for Megan, he is taking a pause to propose his girl. One big reason that is stopping him is his Royal lifestyle. Harry wants Megan to understand and get used to royal life before popping out such big question. He do not want to hurry and overwhelm her with a total different royal background he comes from. Harry’s ex girlfriend for seven years Chelsy Davy struggled with the same issue and confronted openly that she “couldn’t cope”. “It was so full-on: crazy and scary and uncomfortable. I found it very difficult when it was bad. I couldn’t cope,” she told The Times. Looking at such embarrassing event happened in the past, Prince Harry and his family back in England do not want to happen something same again. The actress is moving slowly and getting to know the royal family with her frequent visits to England. She have already starting meeting the royal members of the family Prince Charles, Prince Harry and Kate Middleton. Prince Harry and Megan’s relationship is serious and the duo are doing everything to make it work. Though it’s a long journey for Megan to accustom with royal lifestyle. Previous : WATCH: Priyanka Chopra Slams Wendy Williams That Her Friend Megan Markle Is Not Just Prince Harry’s Girlfriend But Actress Too! Next : Shocking! Parineeti Chopra Gets Exposed For Lying About Her Poor Childhood Background By Her Friend!